Israel’s president said on Tuesday a majority of parliament members had advised him to have Prime Minister Benjamin Netanyahu form a government after the April 9 election, effectively ensuring his nomination. 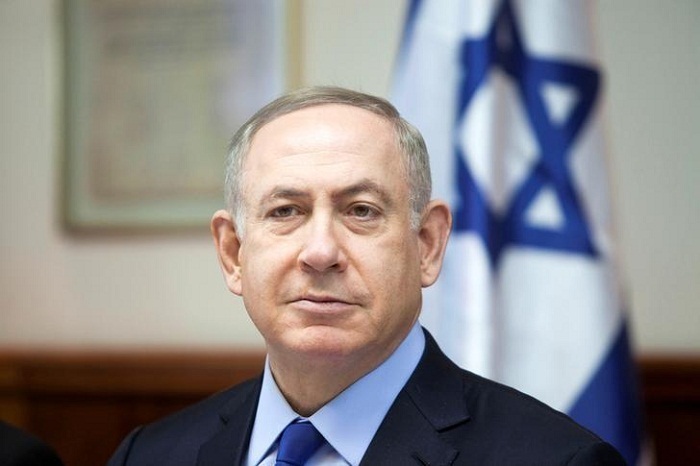 In office for the past decade, Netanyahu won a fifth term despite an announcement by Attorney General Avichai Mandelblit’s in February that he intends to charge the prime minister in three corruption cases. Netanyahu has denied wrongdoing. Under law, President Reuven Rivlin chooses a party leader whom he judges has the best prospect of putting together a ruling coalition. He will announce his candidate on Wednesday. In broadcast remarks on Tuesday, the second day of Rivlin’s public consultations with political parties on their preferences for prime minister, he said Netanyahu “now has a majority of Knesset members” behind him. “Any room I had for maneuver has effectively been removed at this moment,” the president said. Netanyahu’s nomination had been a foregone conclusion after his right-wing Likud party captured the largest number of seats in the Knesset in last week’s ballot and his closest rival, centrist Benny Gantz, conceded defeat. Netanyahu has said he intends to build a coalition with five far-right, right-wing and ultra-Orthodox Jewish parties that would give the Likud-led government 65 seats, four more than the outgoing administration he heads. Representatives of all of those parties told Rivlin at the meetings, broadcast live on the Internet, that they recommended Netanyahu get the nod. Gantz, a former military chief of staff whose Blue and White party won 35 parliamentary seats, would likely be next in line to try to assemble a government if Netanyahu fails to do so within 42 days of being chosen by Rivlin. Netanyahu is under no legal obligation to resign if indicted. He can still argue, at a pre-trial hearing with Mandelblit whose date has not been set, against the formal filing of bribery and fraud charges against him. The Israeli leader, whose supporters hail his tough security policies and international outreach, is set to become the country’s longest-serving prime minister in July.